GEORGIAN INTERNATIONAL UNIVERSITY is a private American university with a rich European academic tradition tracing its roots to the famous Greek philosopher Plato and his family. In the United States Georgian International University is incorporated as a non-profit (not for profit) institution directed by the Board of Governors. Georgian International University was established by the Decree of the Great Academic Council and the President of the Georgian International Academy to function as the exclusive global branch of the Academy in the United States of America and throughout the world. 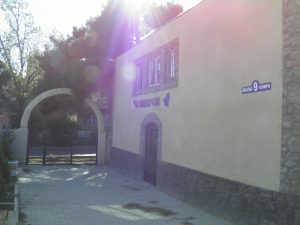 The Georgian International Academy was founded by member academicians of the Fazisi Academy, which itself was established in the 2nd century BC in Georgia. Plato’s son was one of the many noted graduates of the Fazisi Academy. The Primary mission of Georgian International University is to assemble academic talent and provide comprehensive, custom-tailored graduate level education. Our students can earn highly prestigious Master of Science and Doctoral degrees in the United States, as well as participate in joint study programs and earn degrees from premier European universities, including the degree of Doctor Academician ‑ the highest academic honor in Europe. Georgian International University and the Georgian International Academy boast of numerous distinguished post-graduate program alumni. The list of academic and honorary graduates includes the following notable public figures and outstanding scholars: the current president of the Laissez-Faire Fraternity, the Economic Society of America; Catholicos-Patriarch of Georgian Apostolic Autocephalous Orthodox Church, Ilia the 2nd (HON); the prominent African American political theorist, Temple University, Pennsylvania, Ph.D., Dr. Chieke E. Ihejirika (HON). Georgian International University consists of six graduate schools: the Hayek School of Economics, the Gari School of Government and International Politics, the Mathewson School of Education, the Solon School of Justice, the Jungian School of Psychology, and the Academy of Iberian Philosophy. 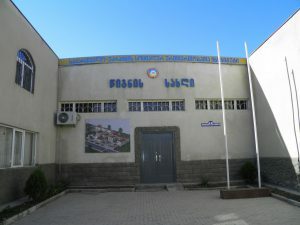 The schools are independent and highly specialized academic institutions within Georgian International University. Our mission is to provide intellectual autonomy in order to achieve greater educational and scholastic success in each field of study. Each school within Georgian International University has its own distinct academic culture, tradition and scholastic approach. Georgian International University offers several Master of Science (M.S.) and Doctoral programs. The programs are highly concentrated, with emphases on academic excellence, as well as professional aptitude. In many cases, students are awarded Master of Science (M.S.) degrees en route to the doctorate. 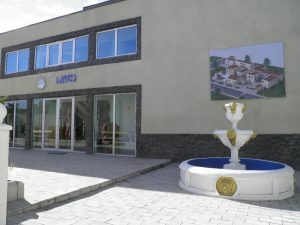 The Board of Governors of Georgian International University, as well as its distinguished academic faculty, strongly believe in professional specialization in conjunction with academic scholasticism. The programs are carefully designed to address professional demands of vibrant economic and academic communities in America and in the world. This philosophy is fully reflected in field-specific Doctoral programs offered at Georgian International University, such as Doctor of Juridical Science (J.S.D. ), Doctor of Education (Ed.D. ), Doctor of Psychology (Psy.D. ), as well as Ph.D. degrees in numerous disciplines. Georgian International University is headed by the President (Zviad Lazarashvili, Ph.D.) and is autonomously administered by the President, Provost and the Academic Assembly. 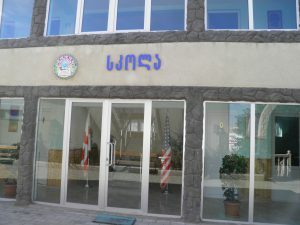 Administrative affairs of the university are managed by Georgian International University, a non-profit American corporation. It is directed by the Board of Governors, which itself is headed by the Chairman, Vice Chairman, Secretary and Treasurer. The University’s two chief executives are the President and Vice President, appointed by the Board. The President and Vice President of the Corporation jointly appoint the President and Provost of the university. The President and Provost of the University jointly appoint members of the Academic Assembly and the faculty. The President of Georgian International University is an internationally renowned political theorist and economist who has served as a director and/or consultant to several American and European companies, organizations and universities, lecturer on free markets and individual civil liberties in America and Europe, laureate of the Plato Gold Medal of the National Academy of Sciences of Ukraine, and the author of numerous books on political science, philosophy and economics, Dr. Zviad Kliment Lazarashvili. Dr. Zviad Lazarashvili under full scholarship earned his B.S., with a concentration in Economics, from Tbilisi State University of Economic Relations and Law of Georgia, Law degree from the Educational University Rvali in Georgia, and an MBA in the United States. Dr. Zviad Lazarashvili earned the highest academic honor in Europe, Doctor Academician, with a concentration in political science and specialization in American Studies, from Georgian International Academy. Dr. Zviad Lazarashvili earned his second Ph.D. from Georgian International Academy, with a concentration in economics and specialization in American political economy. Dr. Zviad Lazarashvili is also a member Academician of the prestigious Lezhava Academy of Sciences of Europe. The Provost of Georgian International University is a prominent American economist and financier who has served as a director and/or advisor to government units, foundations, investment companies, private companies and public corporations, as well as professor of economics and corporate finance, Dr. George Stasen. Dr. Stasen earned his B.S. from Drexel University with a concentration in Economics and was subsequently awarded a fellowship and earned an MBA from Drexel University. Dr. George Stasen earned his Ph.D. in Economics from Georgian International Academy. In December 2011 Dr. Stasen was awarded the prestigious Gogebashvili Medal for his “contributions to education and pedagogy ”. The Dean of Graduate Studies of Georgian International University is the world renowned academic figure in political science, pedagogy and journalism who, throughout his distinguished career, has served as the president of several European universities, national and regional newspapers, and pedagogic societies, Doctor Academician Gari T. Chapidze. Dr. Chapidze is the author of over seventy scholastic books which have been widely accepted in scientific and academic circles of Europe and now the United States. He also holds the prestigious title Academician, and is a full member of several national academies of sciences of Europe. Doctor Academician Gari Chapidze earned several advanced graduate and post graduate degrees from the best schools in Europe, including the Lomonosov Moscow State University, the Fazisi Academy of Sciences and the Georgian National Academy of Sciences. Dr. Gari Chapidze is the winner of several academic prizes and medals: the Medal of Honor of Georgia (2003), the Gogebashvili Medal (1993 and 2000), the Ilia Chavchavadze Prize and Medal (2003), the Akaki Tsereteli Prize and Medal (2003), the Tabidze Prize and Medal (2005), the Plato Gold Medal of Ukraine (2010), the Guramishvili Prize and Medal (2010), the Georgia-Ukraine Medal of Friendship (2010), the International Science Medal of Georgia (2007 and 2008), and the National Gold Medal of Georgia for Accomplishments in Public Education (2008). Georgian International University is a leading academic institution. It has received several national and international acknowledgements and recognitions, including the prestigious Medal of Freedom of the Laissez-Faire Fraternity, the Economic Society of the United States of America; the Plato Gold Medal of the National Academy of Sciences of Ukraine; and the Gogebashvili Medal for “contributions to education and science ”. Georgian International University Press (GIU Press) is a pioneering university press. It is proudly dedicated to the academic enlightenment of the students, as well as the general public, in the United States and around the globe. GIU Press Classics are available at major US booksellers, such as Amazon and Barnes & Noble. GIU Press Classics are sold worldwide, in France, Germany, Georgia, Spain, Finland, Japan, Australia, New Zealand, South Africa, India, China, Russian Federation, the United Arab Emirates and Saudi Arabia. It is governed by a group of 5 academics, appointed by the President of the university. They are known as the Emissaries of the Press. The Emissaries are headed by the Secretary, Dr. Chieke E. Ihejirika. Dr. Ihejirika is an internationally renowned African born American political theorist with a distinguished academic background from Temple University (Pennsylvania), the University of Waterloo (Canada) and the University of Leuven (Belgium). In the last fifteen years he has served as a graduate teaching fellow at Temple, and served as a political science professor at Drexel University in Philadelphia, Pennsylvania, and Avila University in Kansas City. Academic policies of Georgian International University are administered and regulated by the Academic Assembly, which consists of senior level academics and scientists. 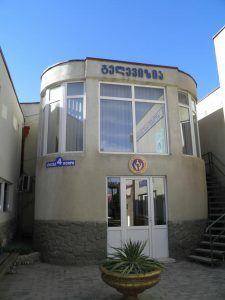 The Academic Assembly also appoints and administers all academic graduate offices and committees of Georgian International University. The Academic Assembly reports directly to the President of Georgian International University, Dr. Zviad Lazarashvili. Georgian International University has established academic partnerships with several prestigious universities and research institutions in America, Europe, Asia and Africa. Recently President Zviad Lazarashvili and Provost George Stasen mentioned in their official 2012 annual address that they aim at “Georgian International University becoming a global institution”. Georgian International University offers the prestigious European Study Abroad Program (ESAP) to all of its doctoral candidates. The ESAP was established in 2010 by President Zviad Lazarashvili and Provost George Stasen to facilitate global scholarship opportunities for American graduate students at Georgian International University. The program is also available to exceptional students enrolled in a Master of Science (M.S.) program. The ESAP is mandatory for Georgianology and Georgian Language and Literature students. Students who graduate from the ESAP will earn a dual degree from the premier European academic institution they attend during this program. The European Study Abroad Program (ESAP) is designed to provide a comprehensive global scholarship experience to our graduate students. The ESAP also helps the students prepare for today’s competitive and diverse job market by enhancing their knowledge of foreign languages, cultures and diverse academic and professional experiences. Our European Study Abroad Program (ESAP) is very unique and unlike any other study abroad program available in the United States: It gives our graduate students an extraordinary opportunity not only to study, but also to teach at premier European Universities; Our students will also be given internship opportunities in Europe; But most important, students who graduate from the ESAP will earn a dual degree from the premier European academic institution they attend during this program.